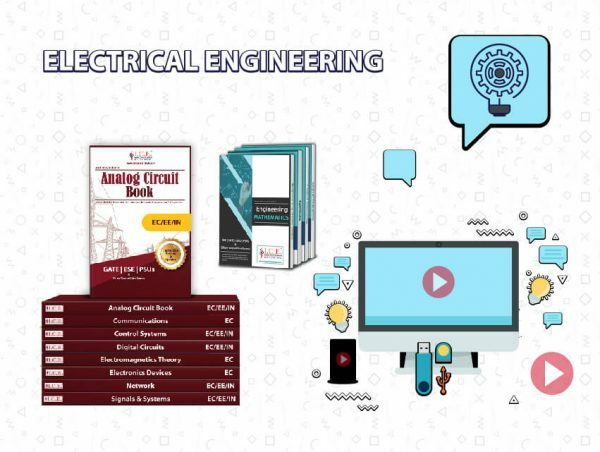 Electrical Engineering is one of the core and oldest engineering subjects. If you want to pursue higher studies in this stream from a prestigious institute or want to make your career in any Central or State PSU, good score in GATE exam is must. For the effective preparation, you need guidance from the experts and ICE can be your best choice. ICE is the best online coaching platform that can provide complete solution for GATE EEE. The high-quality, subject-wise standard books and test series are helpful for the preparation of GATE electrical engineering. ICE is the best place for online GATE preparation for electrical engineering. The Regular Correspondence Course consists of useful books for GATE 2019 and video lectures. The faculties of ICE are from reputed IITs and IISc and are experienced in their respective fields. The dedicated faculties will help students to clear their doubts through the interactive sessions and help them to be well prepared within a short time period. The course also covers the entire syllabus and patterns of other competitive and government exams and assist candidates to achieve highest scores. The correspondence regular course of ICE can also help the working professionals as they can study as per their convenience with the help of video lectures. ICE offers a systematic and scientific approach to GATE preparation ensuring success of the aspirants within a short time.